We were delighted to host a visit from local school children to our Leeway 2 development in Hull recently. 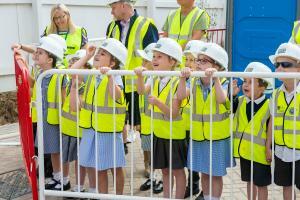 Year 1 pupils from Spring Cottage Primary School in Hull, came to the site in small groups throughout the day. They have recently been learning about houses and homes in Design Technology, even building model houses in lessons. The visit expanded and supported their learning about how houses are built, for this part of the curriculum. Daniel Osborne, Health & Safety Manager, said: “We wanted to help with the children’s study and bringing them to the development seemed like the perfect opportunity. They were able to experience the building of houses first hand and learn about the materials and processes involved. The children also learned about their local area during their visit, supporting lessons they are having in Geography. As well as seeing aspects of house-building taking place, the children learnt about health & safety. Ivor Goodsite’s Hunt the Hazard game was part of the day’s activities. And of course everyone got chance to wear hard-hats and safety vests, and received goody bags to take away! We had lovely weather and Compendium Living staff and their sub-contractors really enjoyed showing the pupils what they do. 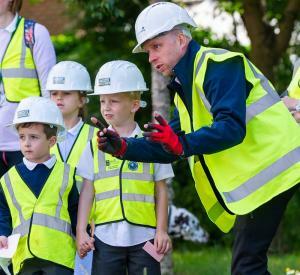 Anna Jackson from Spring Cottage Primary School commented “The children had a great time visiting The Leeway and gained a lot from the experience of being on a real building site. They thoroughly enjoyed seeing the machinery, talking to staff about their jobs and asking questions about house-building. 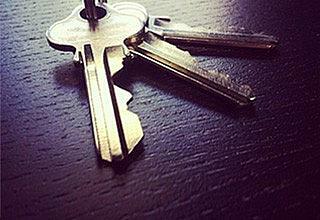 “The visit has enhanced their learning about houses and homes, adding to their knowledge on this topic.